This has become a staple in my life while walking my dogs. 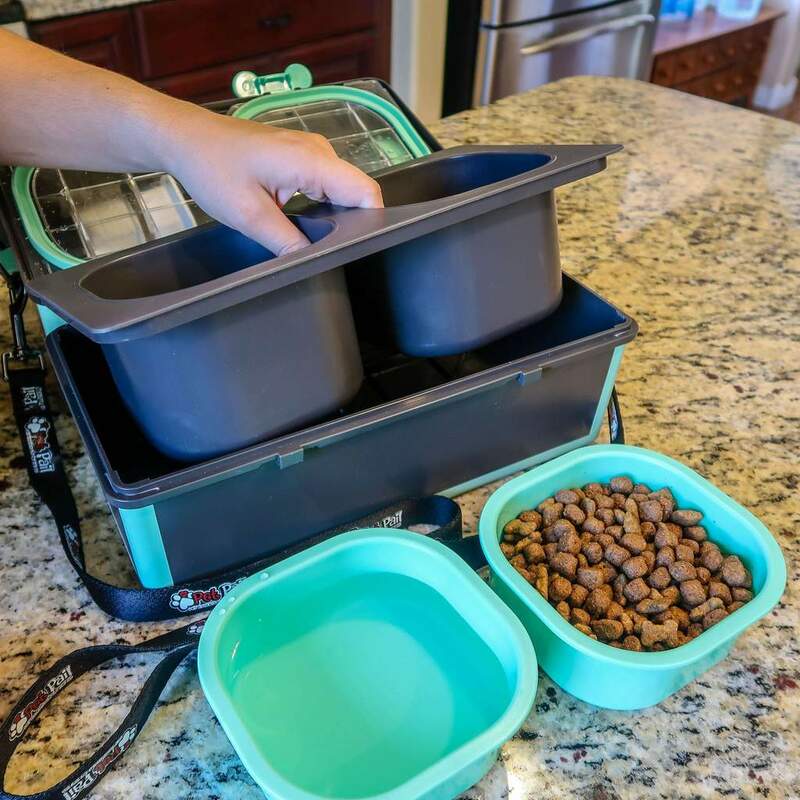 It’s a great size and the different ways to carry the product makes it super comfortable, and easy to feed and water my pup! Really ingenuitive product. 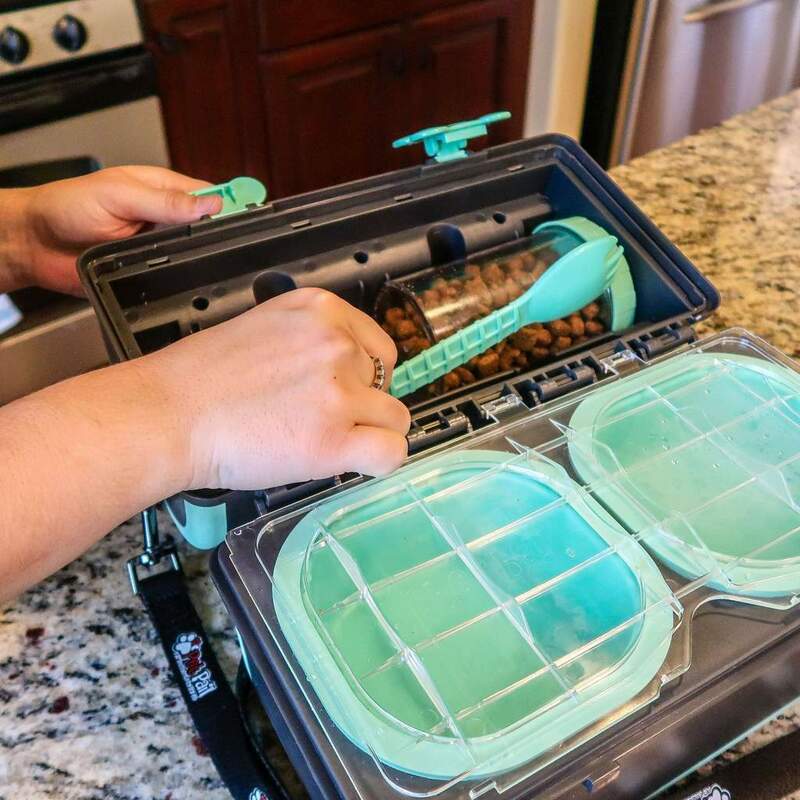 Definitely utilizes all the space to create as many uses as possible. 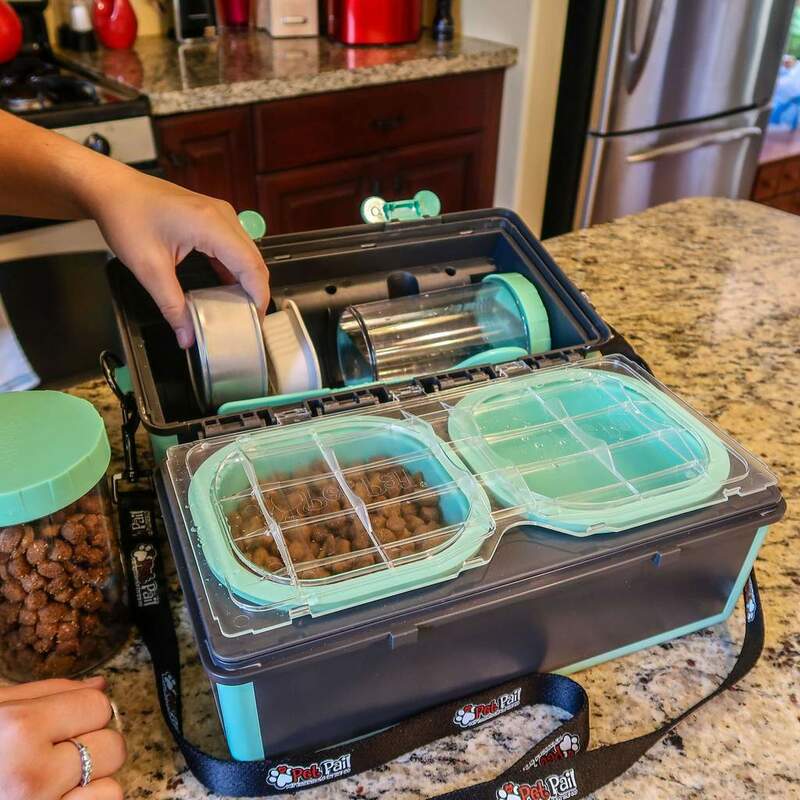 Makes it easy to pack pretty much anything you need inside of this one convenient solution. 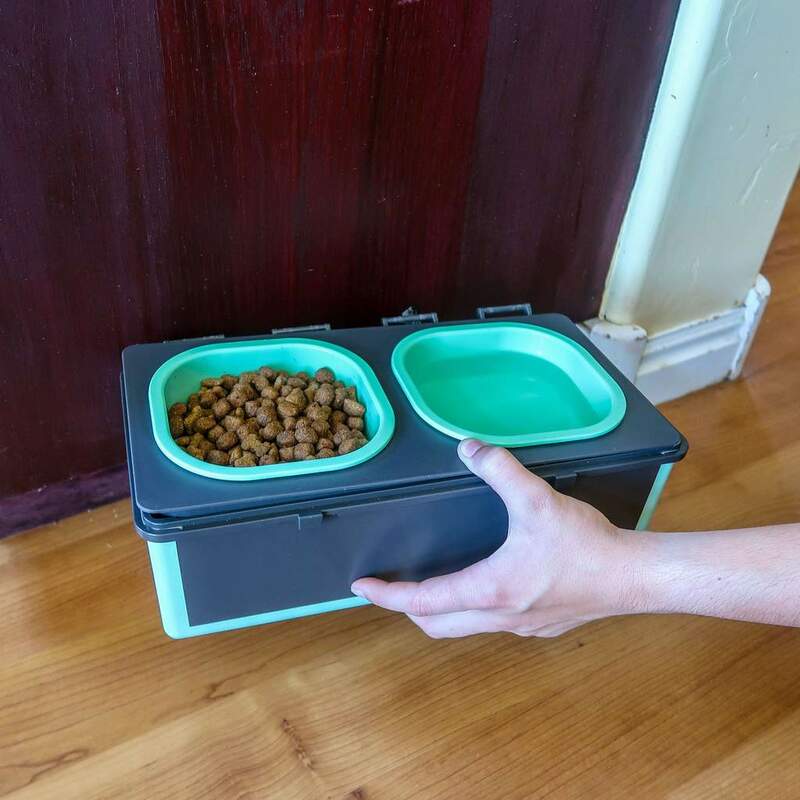 Practical and well made dog dish for our travels, I really like it! 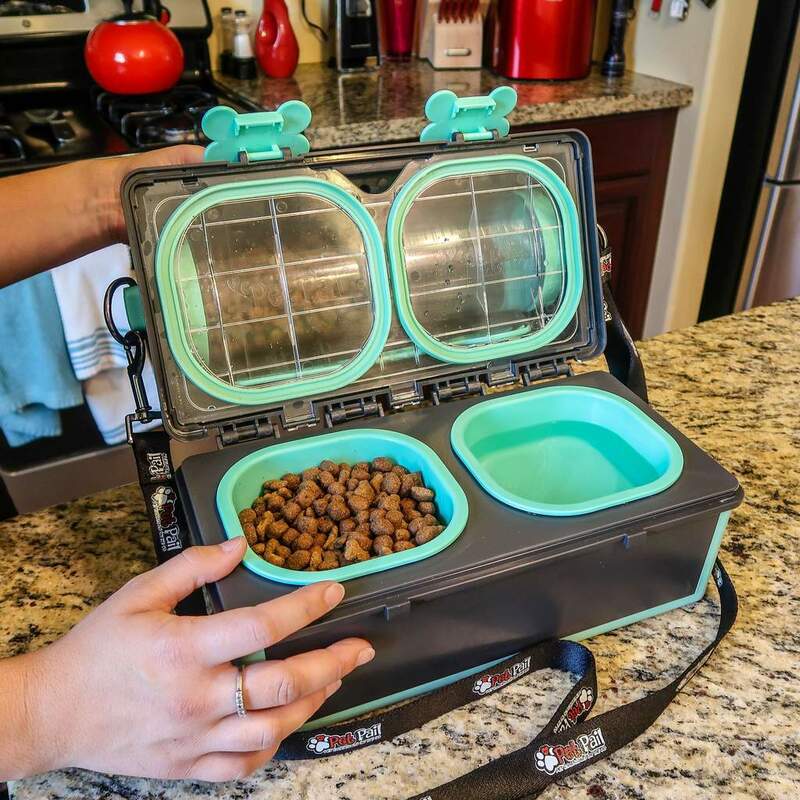 I purchased this pail for traveling with our dog, and for taking her on hikes or to the park where it’s easy to transport. Very helpful with going on the road. 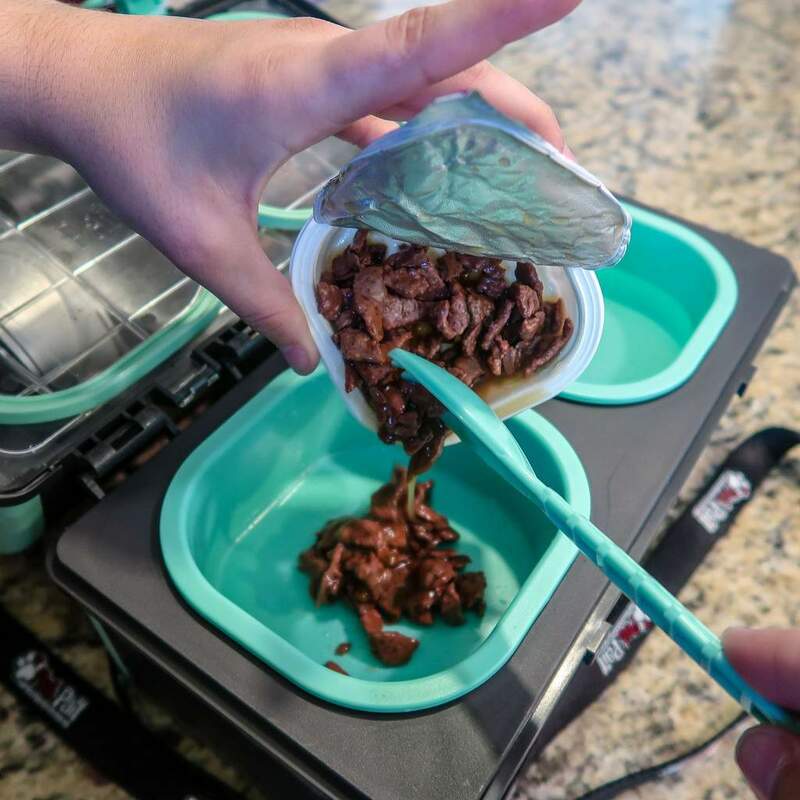 Great product and idea. What an amazing and creative product! I gave this to my daughter and her husband who go camping and hiking with their dog, along with taking her to work sometimes. 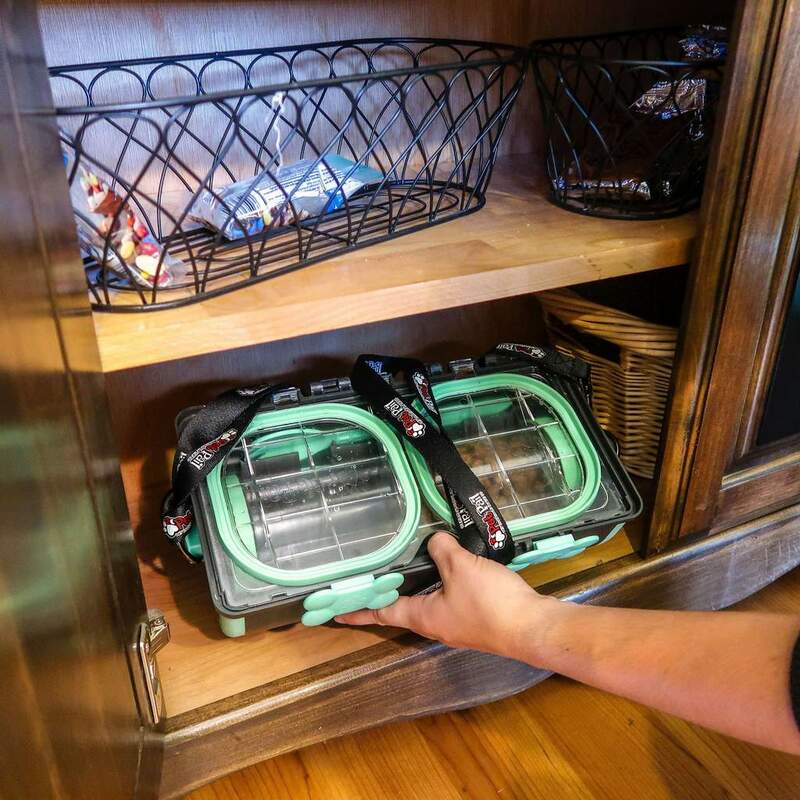 This is super convenient and allows them to have everything in one place and can grab it quickly as they go. 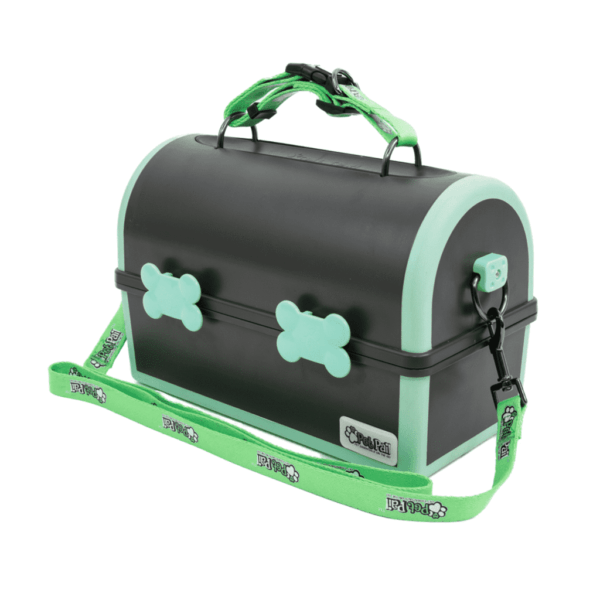 No need to assemble another separate “travel bag” for their sweet Sofie. It’s one of those “Why didn’t i think of that” ideas!! 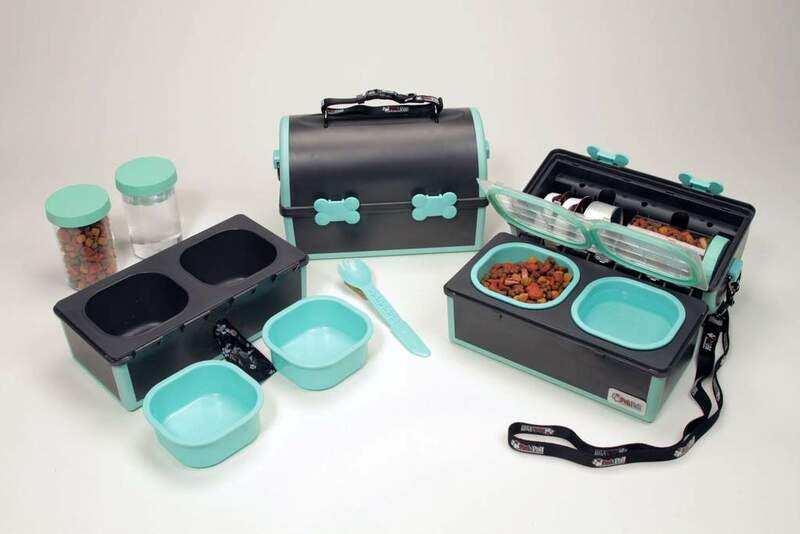 Thanks Pet Pails for creating this!! They LOVE it! Wonderful deal on sale! 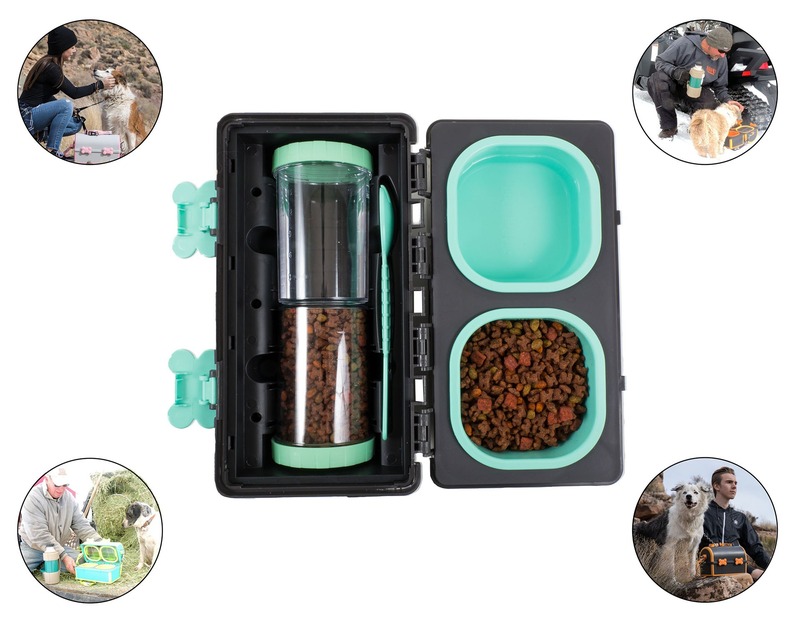 Love the feeding container with all the features and plenty of room inside for whatever you wish to pack. 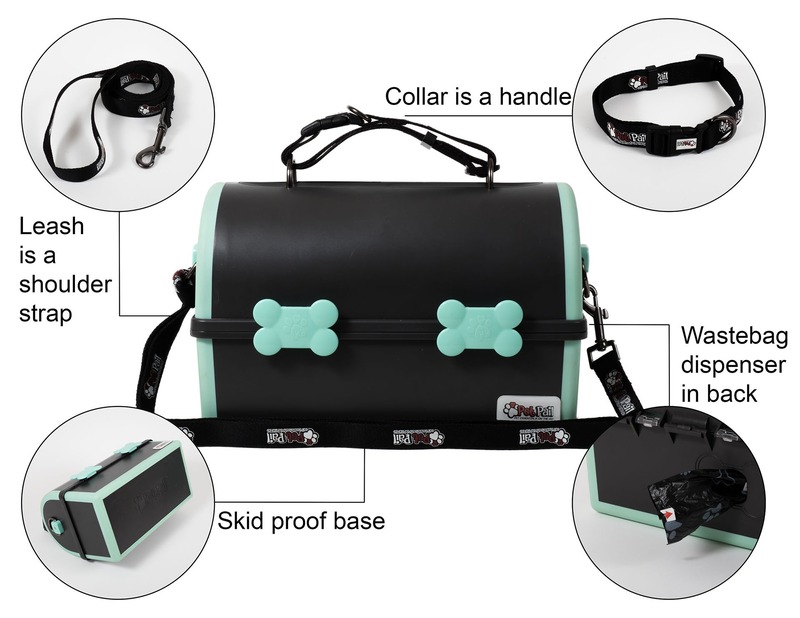 The shorter style collar handle is sufficient – I don’t even miss the leash shoulder strap – which is included. 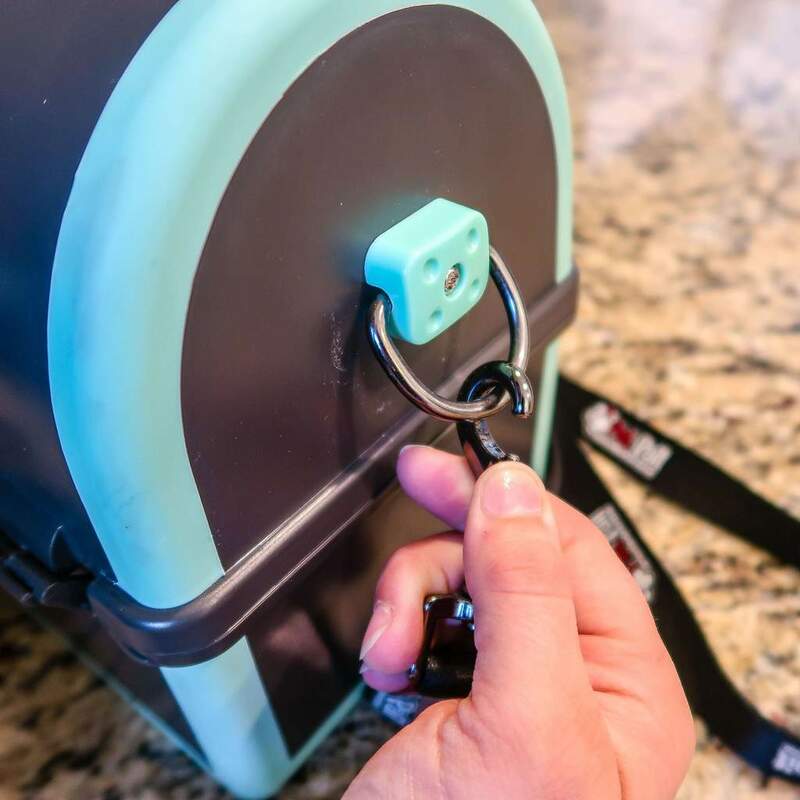 Looking forward to using this pet pail for my Little Bit’s travel for years to come! Sturdy, well constructed, and the colors are really vibrant. Could use larger strap, i’m a very large guy, not really the products fault I guess. Have used daily for trips to the park, its hot here in AZ! 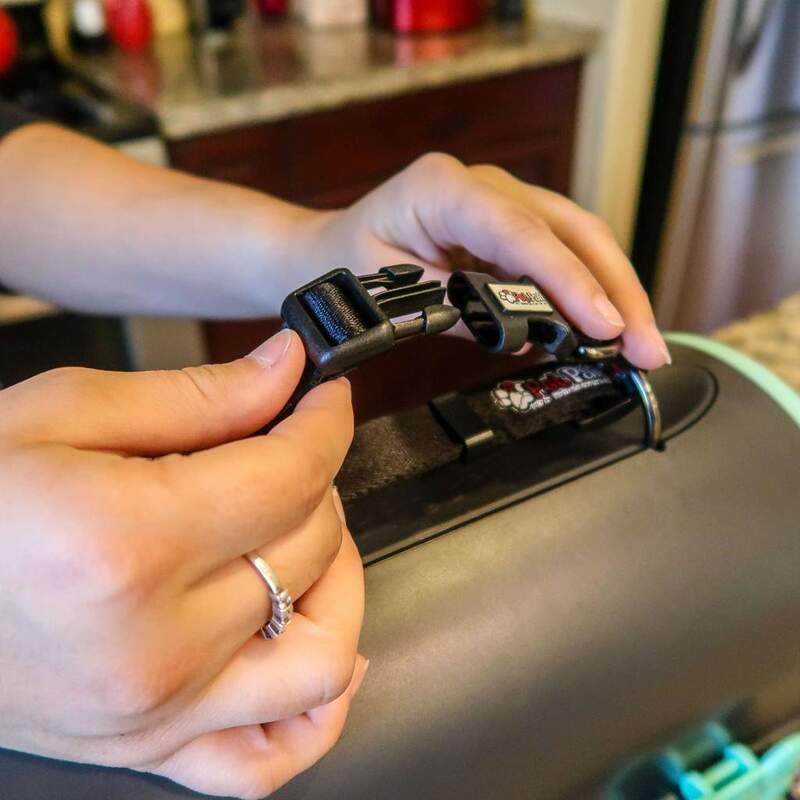 This is such a smart product. 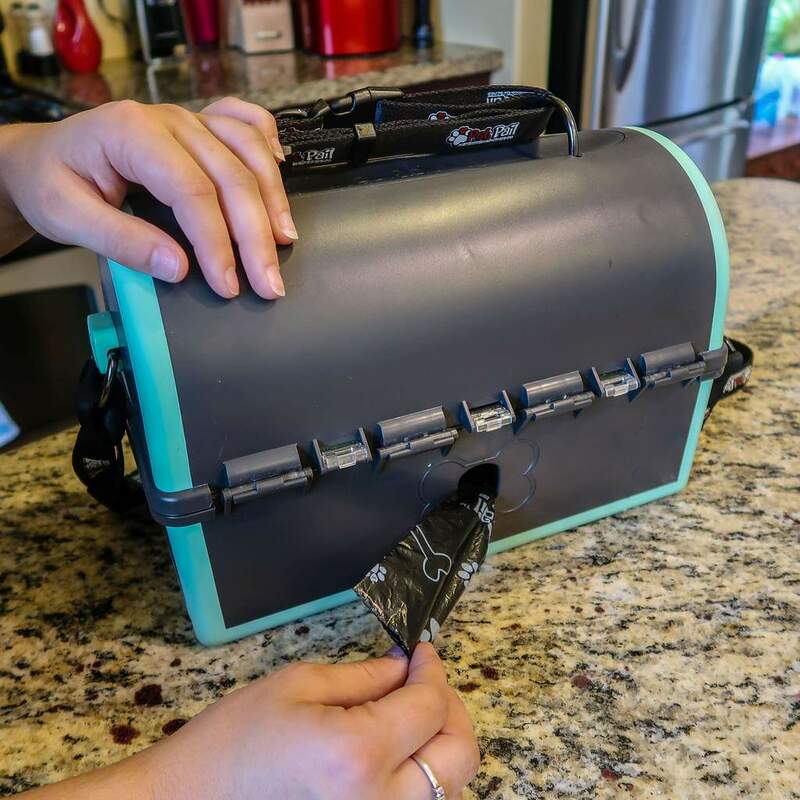 I love that this is an all-in-one travel kit. 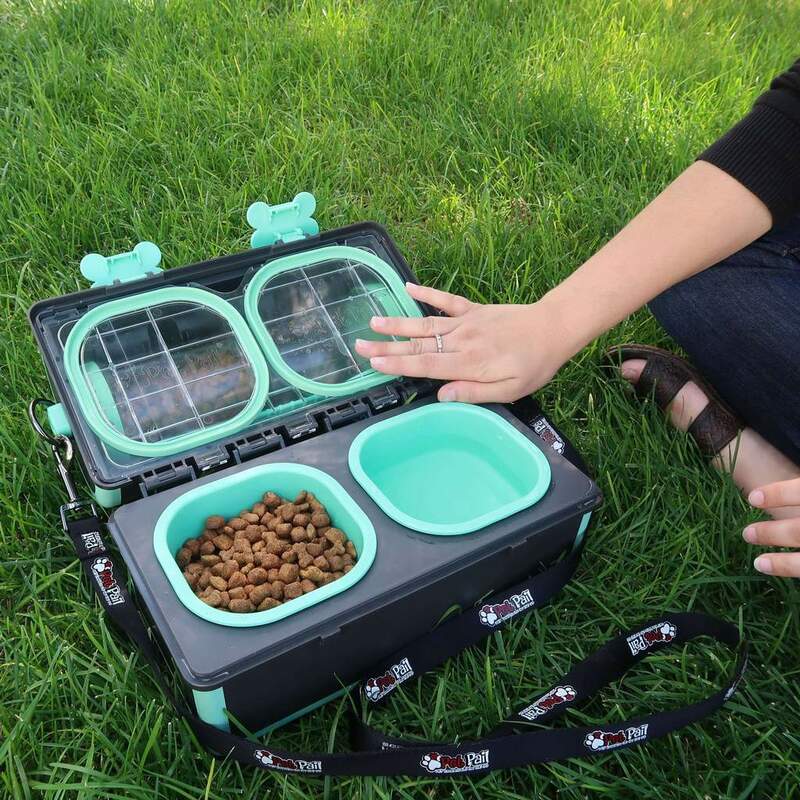 I always have my puppy’s food and water with me when we go on our trips. I’m really pleased with this purchase. 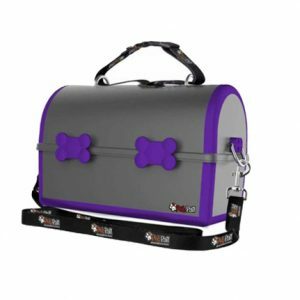 I bought this for our road trip and it worked great. 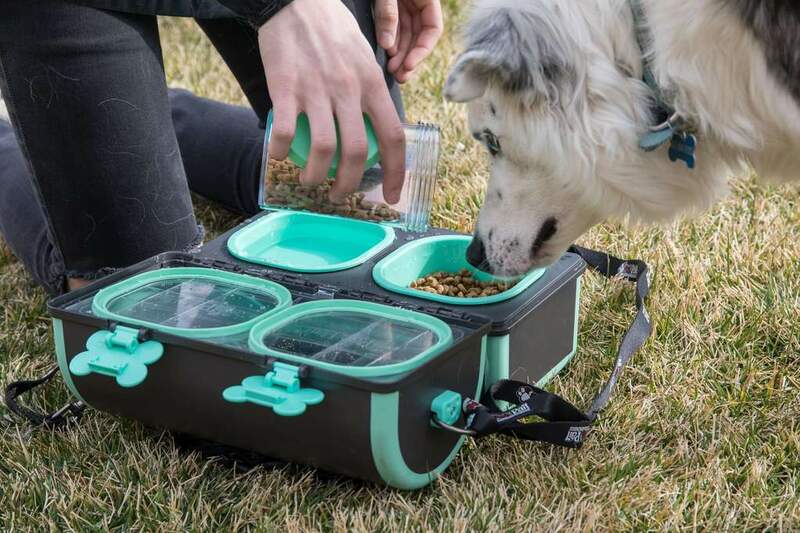 I was concerned the dog bowls would be too small for our Australian Shepherd, but they hold more water and food than it seems. Very pleased with overall product.